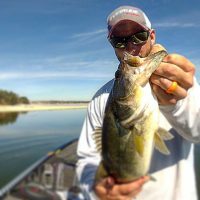 Striper Fishing Guide Beaver Lake Arkansas – Guided Striper Fishing Trips on Beaver Lake near Rogers Arkansas – Looking for a Striper Guide on Beaver Lake? 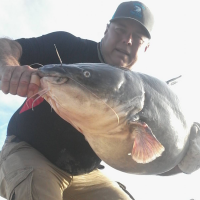 30 years experience fishing Beaver Lake Arkansas Licensed and insured In-fisherman television contributor. 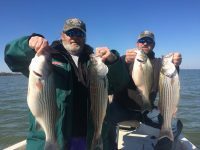 “WORLD CLASS” TROPHY STRIPER FISHING DESTINATION. Just 90 minutes North of Anchorage, Alaska and 30 minutes outside of Wasilla , Alaska en route to Denali National Park.. We give a Big Thanks to our Alaska fishing clients for voting us One of Mat-Su Valley’s Best Fishing Charter Service in 2015! We appreciate your support and look forward to your next Alaska fishing charter with Fisherman’s Choice Charters. 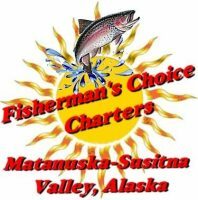 VOTED MAT-SU VALLEY’S “BEST ALASKA SALMON AND ALASKA TROUT FISHING CHARTER” IN 2000, 2001, 2003, 2004, 2005, 2006, 2007, 2008, 2009, 2010, 2011, 2012, AND ONE OF THE BEST IN 2013 , 2014 & 2015! 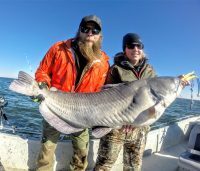 MORE FIRST PLACE WINS THAN ANY OTHER ALASKA SALMON FISHING CHARTER! All Guided Fishing Trips include the following: US Coast Guard Licensed Alaska Fishing Guide, Boat, All Spinning Gear, Tackle, Lures, Bait, Hip-Boots, Rain Gear, Fish Cleaning & bug spray! All of our clients go home happy and we look forward to hosting your next Alaska fishing vacation here in the Mat-Su Valley. Fisherman’s Choice Charters offer the most productive Alaska fishing trips near Anchorage that target Alaska salmon and trout. We will take you and your group Alaska King salmon fishing, Sockeye salmon fishing, and Silver salmon fishing. 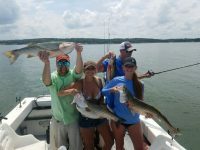 We also offer exciting fishing charters that target Rainbow Trout. Our world class salmon fishing & trout fishing trips are done on the Little Susitna River, Deshka River, and the Talkeetna River. We have spent countless hours scouting and running Alaska guided fishing trips near Anchorage, Alaska on these three rivers to ensure success on your next Alaska fishing trip. At Fisherman’s Choice Charters, our Coast Guard Licensed Alaska Fishing Guides will safely guide you on our customized jet boats into the South Central Alaska backcountry 90 minutes from down town Anchorage, where you’ll see unforgettable scenery along the Little Susitna, Deshka and Talkeetna Rivers. While fishing for Alaska Salmon, Fisherman’s Choice Charters uses only the best equipment money can buy. When fishing for Alaska King Salmon, we use Shakespeare, 8 ft. 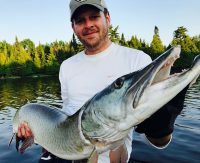 Ugly Sticks, medium action rods with Quantum Cabo reels powered with 65 lb. moss/green Power Pro braided line. Fisherman’s Choice Charters uses only the best Gamakatsu Hooks that boosts your success dramatically. Our Alaska Salmon Fishing leaders are 50 lb. test Chameleon or Ultra Green Maxima fishing line. When allowed by the Alaska Department of Fish & Game, to use salmon eggs, our Alaska Salmon Fishing Guides near Anchorage, Alaska will set up your gear to float eggs using ESB bobbers, bouncing salmon eggs along the bottom of the river or back trolling the salmon eggs behind Jet Planers. Using salmon eggs cured with Double Red Pro Cure increases the success rate tremendously! Fisherman’s Choice Charters also uses Luhr Jensen’s K-13, K-14 & K-15 Kwik Fish plugs for over 30 years and has caught thousands of Alaska King Salmon, Alaska Silver Salmon, Alaska Sockeye Salmon along with Chum and pink salmon. Also, one of our favorite lures to use is one of my favorites, the #6 Blue Fox Vibrax for catching the Alaska King Salmon. And never underestimate the success of using the Storm Wiggle Warts for the Alaska Salmon. During the Alaska Silver Salmon Fishing season, close to Anchorage, Alaska we use 7 ft. light action Shakespeare Ugly Stick rods. Silver Salmon are very aggressive so you need to use a good fishing reel and we use Quantum Cabo 40’s with 30 lb. test moss-green Power Pro line. We also use #4 & #5 Blue Fox Vibrax with a silver blade and red body, salmon eggs floated under a ESB Bobber, when the Alaska Department of Fish & Game allows the use of bait and black and olive Dolly Liamas. When it comes to landing that Alaska Salmon, Fisherman’s Choice Charters uses only the best landing net on the market. Frabill fishing nets has come through year after year helping to land that giant Alaska King Salmon and acrobatic Alaska Silver Salmon. Fisherman’s Choice Charters has numerous years of Alaska fly fishing experience. We know what types of flies Alaska rainbow trout and Alaska salmon prefer and we always have them on hand, from flash flies, egg sucking leeches and our favorite, the Doly Liama. Our Alaska salmon and Alaska rainbow trout flies are custom tied to perform their magic in any weather and water conditions. 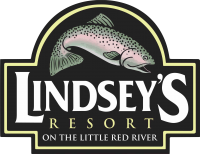 So just bring your favorite fly fishing rod and reel and let us handle the rest. 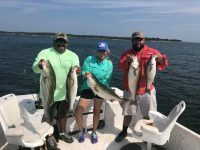 Fisherman’s Choice Charters knows how to make a fly fishing enthusiast happy! We’ll take you to some of the hottest Alaska trophy salmon fly fishing and trophy rainbow trout fly fishing in Alaska! Our Alaska Fly Fishing trips are offered from early May to mid May and from early August thru late September. Nothing beats a day on the water with a Lake Erie Fishing Charter and “JustOneMore” is one of the more popular Walleye Fishing Charters on Lake Erie. 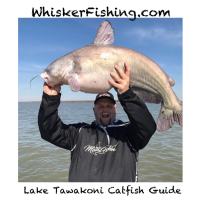 With an experienced, personable Captain who hold’s a U.S. Coast Guard Master License and Ohio Guide License your Lake Erie Fishing Charter experience will be one of the best. 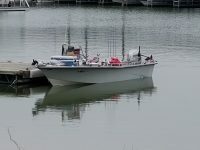 We fish out of a Thompson Fisherman Hardtop model, 27’ long and a wide 10’ beam with high gunnels to lean against while you enjoy your Lake Erie Fishing Charter by casting or trolling for big walleye. In these trying economic times many fishermen have found it’s MUCH less expensive to hire a Lake Erie Fishing Charter 8 or 10 times a year rather than owning a boat, if you haven’t done the math lately you should, I think you’ll be surprised. Captain, a Captain who fishes everyday, full time, aboard a walleye fishing boat that contains hundreds of lures and tools to catch fish under the most difficult conditions. So quit dreaming and come fishing, enjoy a couple days of some of the best walleye fishing in the world in Lake Erie’s western basin with “JustOneMore” Lake Erie Fishing Charter and you’ll come back to fish with us again and again and love hearing the words “JUST ONE MORE”.